The latest edition of the Maryhill Activity Directory is on its way to 32,000 households across Maryhill and its neighbouring communities in north Glasgow. Around 150 people attended the launch for the 8th edition of the popular booklet on March 23 at Maryhill Parish Church. First produced in 2001, the directory now has its own website and downloadable phone app. The directory lists all kinds of activities and is aimed for people of all ages, from children and teens to senior citizens. It covers the communities of Acre, Cadder, Firhill, Gilshochill, Hamiltonhill, Kelvin, Kelvindale, Lambhill, Maryhill, Milton, North Kelvinside, Possilpark, Ruchill, St Georges Cross, Summerston, Wetercommon, Woodside and Wyndford. “Since its inception at the turn of the millennium this directory has been the envy of communities all over Scotland and has become the passport to a vibrant life across Maryhill’s communities”. 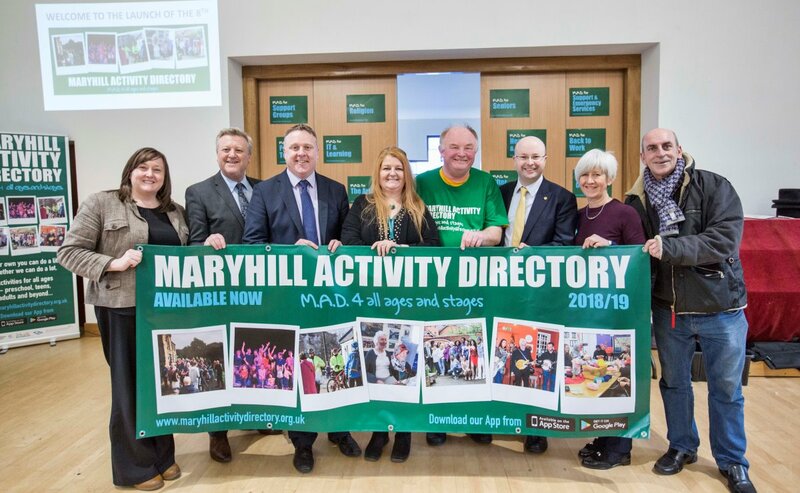 “The directory has become a must have resource to find out what activities exist right across Maryhill and beyond and I am delighted to support this launch. “Whether it is clubs and societies, sports activities or even if someone is trying to get information, advice or support, it can all be found in the activity directory. “I’d encourage local families to read through the directory and discover for themselves what’s happening in their area. They should also check out the website and get the very latest information through the downloadable app. “My thanks to everyone who has put the directory together but my thanks also to the many workers and volunteers who run the huge range of activities that are available in the directory and make Maryhill such an exciting and wonderful place to stay”. 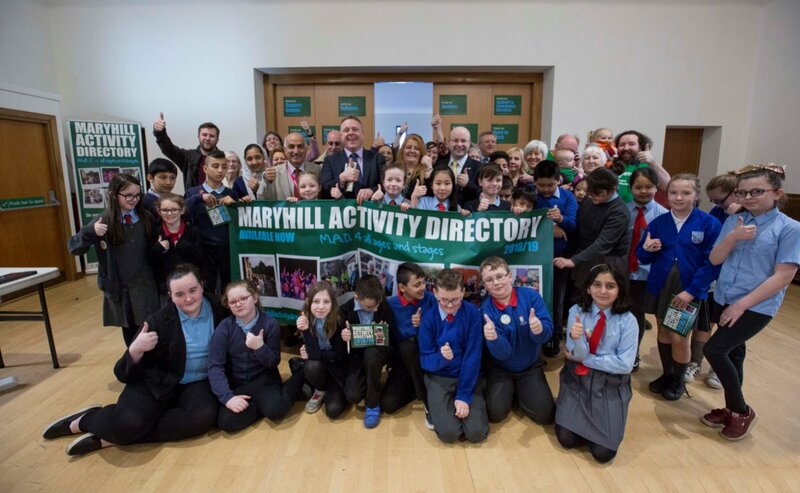 “The Maryhill Activity Directory is a popular and priceless resource for people right across Glasgow North. “It’s my pleasure to join the team for the launch of their latest booklet which, as usual, is jam-packed with activities, local services and essential support for all ages, abilities and backgrounds. Whether you’re looking to make new friends, get fit, learn new skills or get a bit of help, you’ll find ideas and inspiration in the Maryhill Activity Directory. You can access the new Maryhill Activity Directory on their website and via their downloadable mobile app. More information on the Church of Scotland's commitment to promoting flourishing communities.